Motorola Moto E is the kind of device that everyone wants to own. What does it lack? It runs on the latest Android OS, it has a dual core processor, has a 5 MP camera, a unique look with multiple colour back cover option and what not you get with this budget friendly device that is priced just at Rs. 6,999. Well the Indian based Smart Phone maker Micromax is not going to lose its grip in the affordable smartphone markets and in that process, it has come up with its Unite 2 Smart Phone that has similar specifications like the Moto E and is also priced the same. Let us compare these two devices and see which stands out to be better. Moto E measures 124.80 x 64.80 x 12.30 and weighs 140 grams which is easy enough for single hand operation and also fits into the pocket easily and also has the capacitive touchscreen buttons. The Micromax Unite 2 is fairly new device so the details about the dimensions and weight have not been mentioned. The Moto E has a 4.3 inch LCD display with the resolutions of 540 x 960 pixels resolutions giving and pixel density of 256 ppi. Moreover the screen of the device is protected with Corning Gorilla Glass 3 that will keep it safe from scratches. The Motorola unite 2 has a bigger 4.7 inch IPS display with a lower resolutions of 480 x 800 as a result giving lower pixel density of 199 ppi. The Motorola Moto E is powered by a Dual Core Qualcomm Snapdragon 200 chipset clocking at 1.2 GHz, where as the Unite 2 has a better Quad Core MediaTek MT6582 processor clocking almost at the same speed of 1.3 GHz. Both the devices will be running on the latest Android 4.4.2 KitKat Operating system and will also have the same 1 GB of RAM. The Moto E has a 5 MP camera on the rear and it is disappointing that there is no flash support for it and moreover it also lacks the front facing camera. On the hand the Unite 2 has the same 5 MP camera but it has the LED flash support along with a 2 MP front facing camera. The lack of front camera in the Moto E pretty much a factor to be considered as you cannot make video calls or Skype calls. Moto E comes with 4 GB of internal memory that can be expandable up to 32 GB via microSD card as it is in the case of the Micromax Unite 2. Both these Smart Phone are 3G variant and will be supporting dual SIM (GSM + GSM) and dual standby. The battery on the Moto E is at 1980 mAh, while its competitor has a 2000 mAh battery on the back, so there is not a big difference in the battery powering these handsets. Well we don’t have much to say about the pricing as both the devices are priced at Rs. 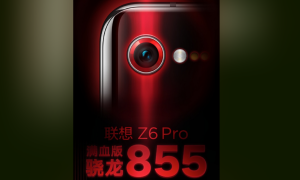 6,999 and with the quad core processor and a front camera Unite 2 is better option to go with. Many might be considering the Brand name as Motorola is an international brand that has delivered Smart Phones like the Moto G and Moto X that has created buzz in the market. But an important factor to consider in this, is that you cannot buy the Moto E in the local market unlike the Unite 2, because the Motorola phones are available only through Flipkart.